Long before we became involved in selling LIKEaBIKEs, we were happy customers ourselves. 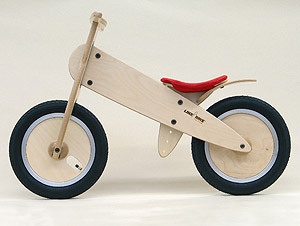 Or, to be more precise, it was our son, Josef, who was the happy user and really got to enjoy riding it. 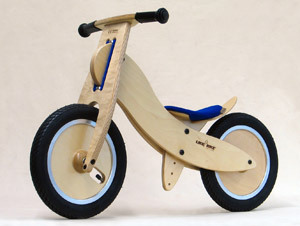 When he was about two and a half years old, a German-based Santa Claus went looking for a LIKEaBIKE for him. By early March he was riding on his LIKEaBIKE along the sidewalks of Brooklyn, New York.